Frankfurt, Germany is much more than its often-reputed reputation as “just a business hub”. It’s the kind of city that needs to be explored to truly be understood. Once you peel away the layers of misperception, you will uncover an eclectic city filled with culture, wonderful museums and a superb nightlife scene. It’s a city infused with its own magic that lingers past the evening skyline. Frankfurt is an extremely old city, nestled on an ancient ford along the River Main. Its history dates back to the first century. Throughout the city, surrounded by modernity, you can find old relics and buildings that hold a deep history within their walls. The first time I arrived in Frankfurt was on a stopover between flights en route to Barcelona. Like so many travellers who use Frankfurt as a transfer travel hub, I didn’t really think about staying on. I was in my twenties, party bound for Barcelona, and I had a long delay between flights. Always up for an adventure, I decided to explore the city a bit, and hopped the modern train to the city centre in no time at all. I recall how damp the air was as I walked along its quiet streets in the early morning. I strolled along the River Main, making my way into Altstadt (or old town in German). The buildings were like gingerbread houses, and the smell of sweets permeated the air. As bakeries and cafes opened up, businessmen in tailored suits scurried by, stopping briefly to grab a bite. The city was coming to life. I indulged happily in warm apple strudel and black forest cake, window-shopped and made my way back to the airport. Little did I know then that, years later, my love affair with Frankfurt would begin. If you happen to be in Frankfurt on a Thursday or a Saturday, make your way to the city centre station, Constablerwatche. 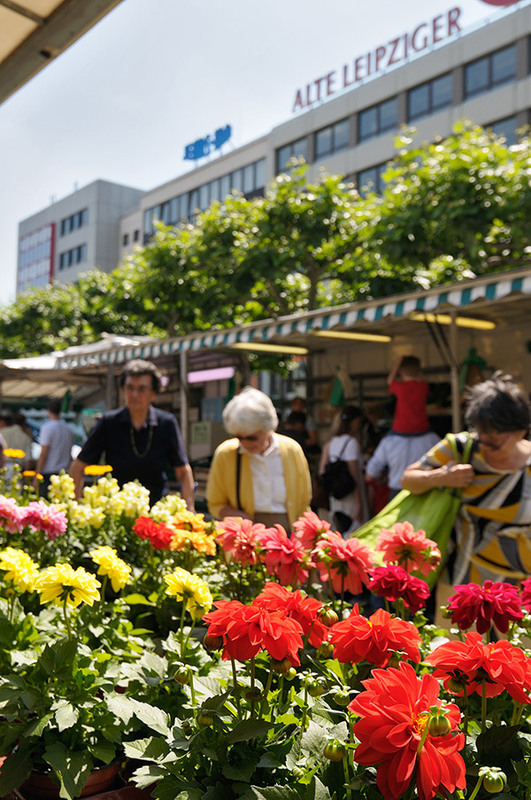 The Mein Zeil, a modern shopping district and home to a large outdoor market, surround it. It’s a culinary smorgasbord that offers up an array of German beers, cheeses, renowned apple wine, schnitzel and my go-to indulgence: bratwurst on a bun with sauerkraut (there are many varieties to choose from). 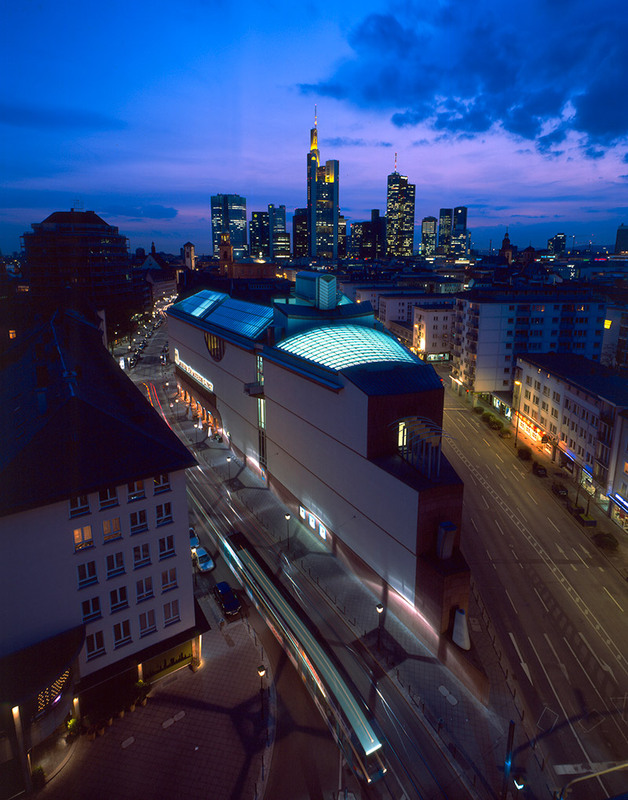 No visit to Frankfurt is complete without visiting the top-notch museums this dynamic city has to offer. There are so many you truly need a few days to enjoy them all. Start with the Liebieghuas, a converted 19th century villa that is now the Museum of Ancient Sculpture. It boasts a vast collection of Baroque sculptures and Egyptian artifacts (mummies as well). No visit to the museum is complete without stopping by the café, a true local favourite. Its romantic, renaissance-inspired outdoor courtyard serves up the best homemade German cakes and hot chocolate. 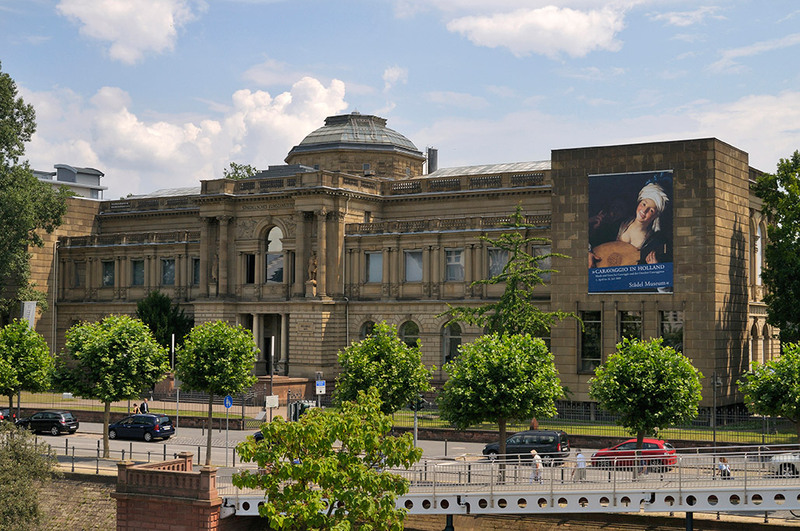 The Stadel Art Museum holds one of the most vast collections of art in all of Germany, boasting European works of art from seven centuries. Rembrandt, Vermeer, and Botticelli are all there, along with 100,000 other drawings and prints, housed in a wonderfully exquisite building where modernity and history collide. For those who love something more contemporary, The MMK Museum of Modern Art boasts a collection of more than 5,000 works from around the world, dating from the 1960s right up to the present. 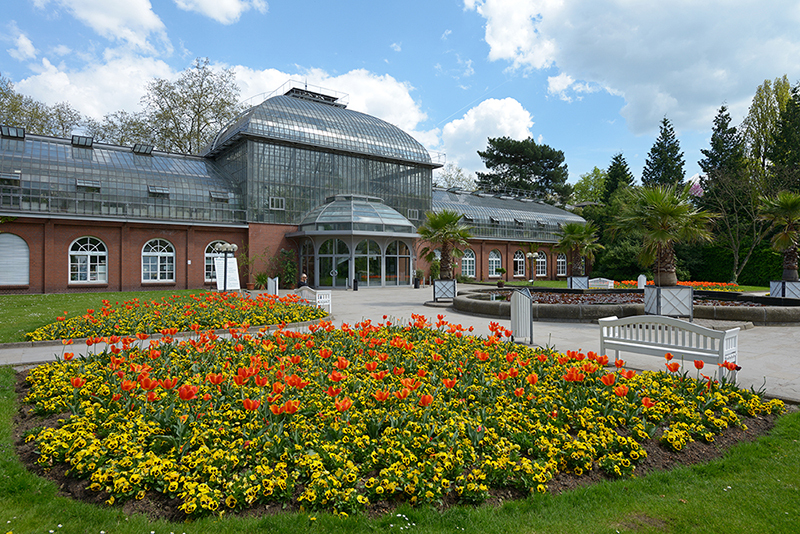 No visit to Frankfurt is complete without a visit to the Palmen gardens. An aromatic adventure for the senses awaits you, as you meander through 50 acres of orchids, tropical trees and greenhouses featuring towering cacti. It’s all surrounded by an expanse of green lawns and waterfalls. During the summer season, you can even hop on a train around the miniature railway. For a deliciously opulent dinner in an atmosphere truly fit for a king or queen, head to the five star Villa Kennedy Hotel, with its grand entrance and castle-like feel. Start with a signature avant-garde cocktail at the aptly titled JFK bar. My favourite is the “Noblesse”, a mix of vodka, caramel and raspberry liqueur. Adjacent to The JFK bar is Gusto, a top notch Italian restaurant, known for its sophisticated simplicity that captures the essence of fresh ingredients with original Italian recipes. Try the grilled octopus and the Carpaccio truffle. Germans love fresh Gelato ice-cream in all flavours, and it would be impossible not to find a quaint café serving it up almost everywhere, for only a euro a scoop. German-owned Lindner Hotels are a must when visiting. 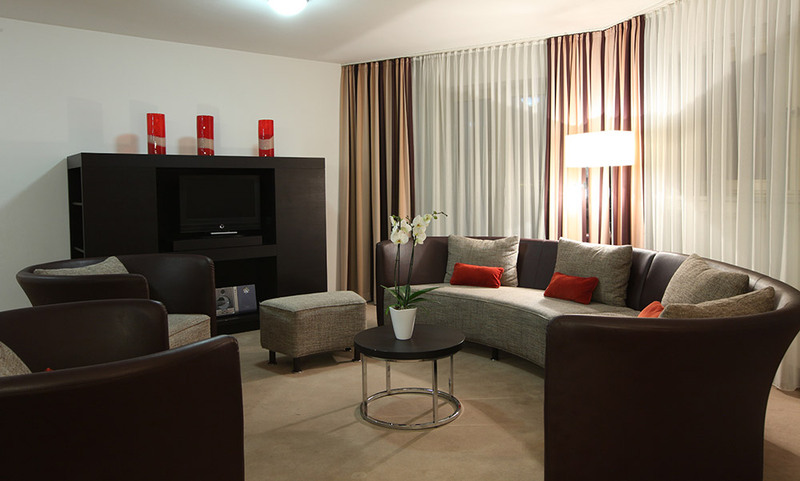 The Lindner Main Plaza Hotel and Suites in Frankfurt is stellar. Designed to reflect New York City culture of the 1930s, it towers above the river Main with its gold-flecked rooftop. It is located right near Sachsenhausen, one of Frankfurt’s oldest streets. The hotel’s stylish suites are classy and refined. 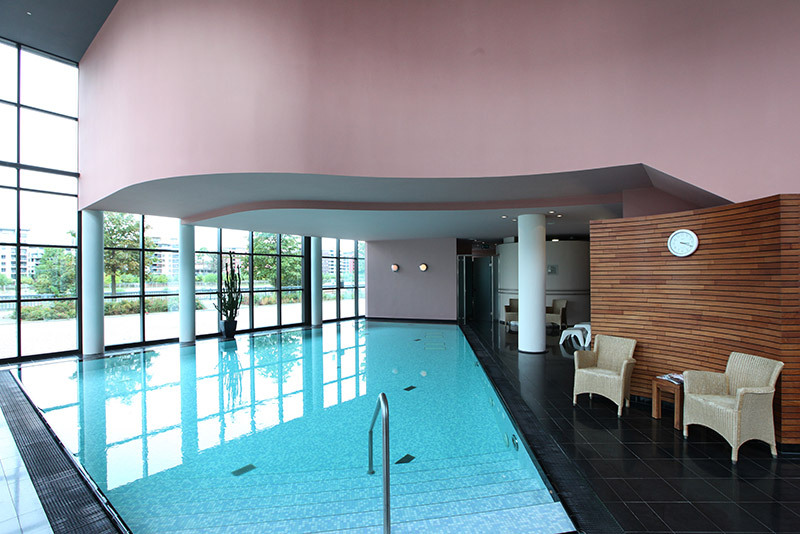 Boasting spectacular views of Frankfurt’s handsome skyline with its skyscrapers and high-rises, it’s often referred to by locals as “Mainhattan.” Don’t miss out on the spa, sauna and steam room located in the hotel. So the next time you find yourself on a stopover in Frankfurt, linger awhile. You will not be disappointed.